It finally happened. 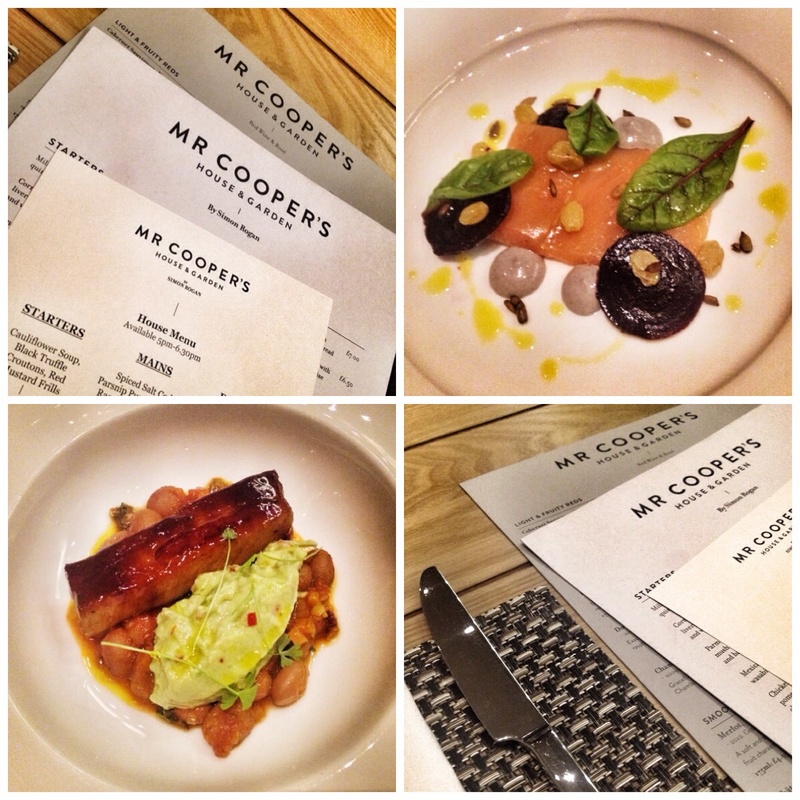 I bagged a table at Simon Rogan’s Mr Coopers House and Garden in Manchester. Ever since it was announced that Simon was coming to Manchester the buzz about town was palpable and I sensed that finally I can grace a Simon Rogan restaurant. L’Enclume, Simon’s more famous Michelin starred restaurant in Cartmel has been top of my list for a couple of years now. The closest I’ve been was when I pressed my face against the window like a stray waif when I went camping in the Lakes last year. I’ve still got ‘The Trip’, with Steve Coogan and Rob Brydon, on the hard drive to give me a fix. You may recall this was a comedic, ‘gastronomique’, tour of Northern eateries. L’Enclume was featured in one episode along with ‘The Inn At Whitewell’ and others. 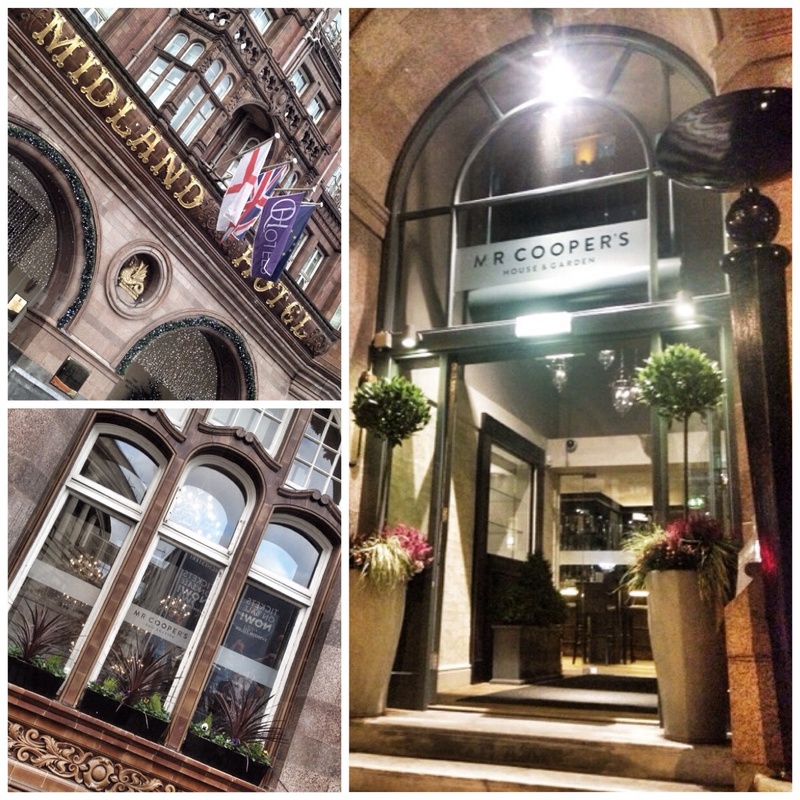 Mr Coopers (for short!) is camped in The Midland Hotel, arguably Manchester’s swankiest and classiest gaff. It is the second and most accessible restaurant in the complex. 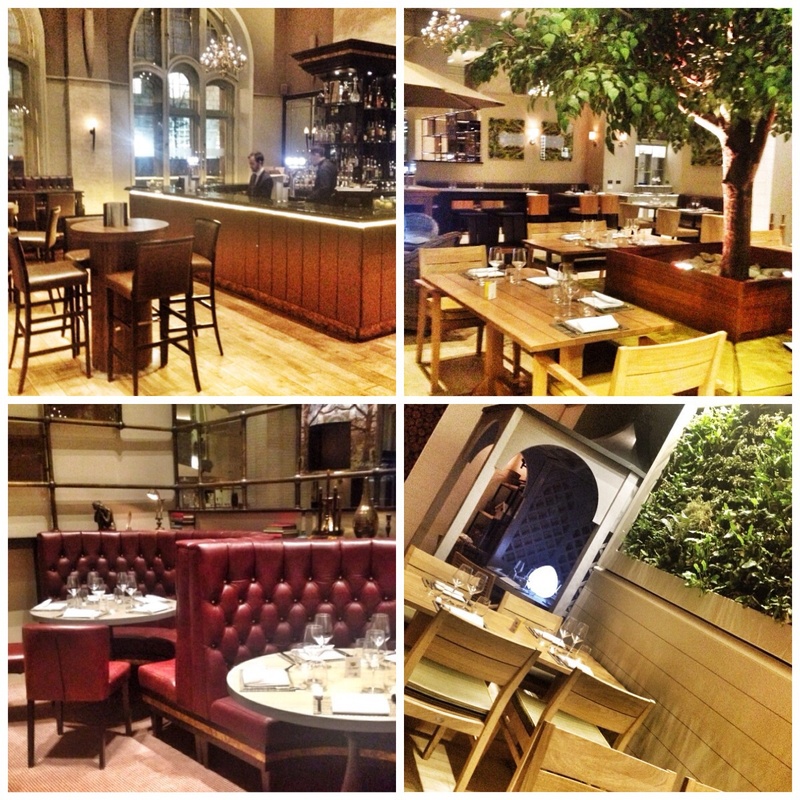 He opened ‘The French‘, a true, gastro, tour de force last year to high and universal acclaim. 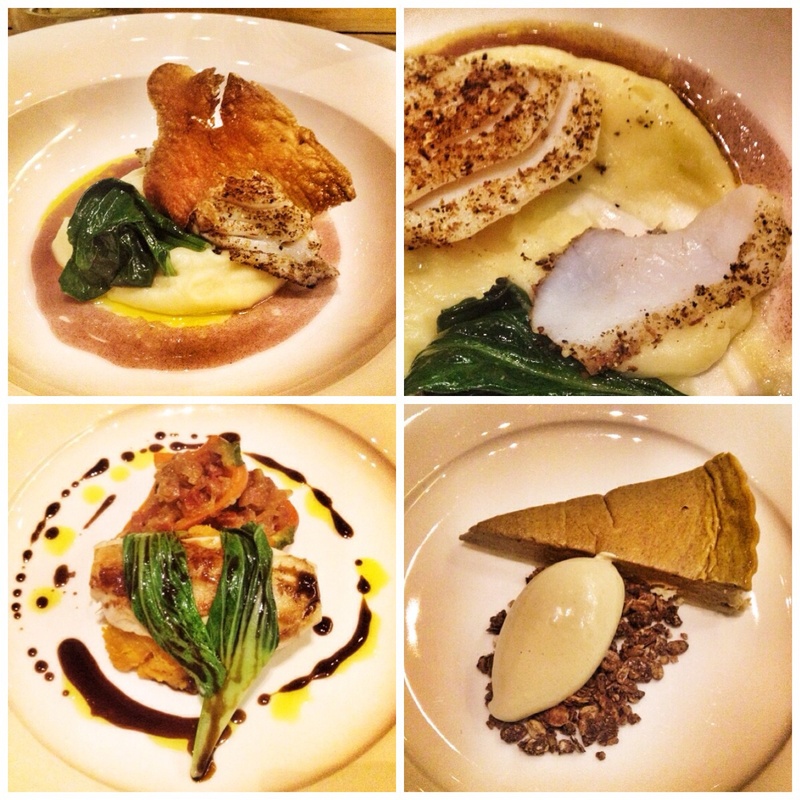 It remains Manchester’s best chance in decades of attaining a Michelin star. The Flame and I crept in on a calm Monday evening. Traditionally a graveyard shift in the world of hairdressing and feeding people. We entered to a gentle and perfectly pleasant buzz. We were in early doors as we were heading round the corner to see Scottish Rock Goddess KT Tunstall. As the title suggests the room is divided between the house and the garden! We sat in the garden. This is easily identified by the tree and living, green wall. The overall effect of the room though is colonial opulence. It couldn’t be much else really set in the Midland with its high ornate ceilings and crystal chandeliers. Browns and reds swathe the furniture, although a natty sage green marks out the garden furniture. It is beautifully done. We chose our meal from the ‘house menu’ three courses for £23 (5.00 to 6.30pm). There are three starters, three mains and three deserts to chose. Our rather splendid maître de informed us that this menu changes every month. The flame started with the smoked salmon belly with barbeque beets, violet mustard and golden raisins. She loved it. I’m not a great lover of smoked salmon but the sliver I was allowed was very tasty and had a lovely soft texture. I’ve always wanted to use the word ‘uncious’ and finally I can use it to describe my molasses glazed pork belly, borlotti beans cassoulet with crushed avocado. My thick finger of pork belly simply melted in the mouth. It washed down beautifully with the slightly spicy beans and cool avocado mousse. The mains were equally sensational. My spiced salt cod, parsnip purée, spinach and raspberry vinaigrette was superb. The cod was cooked to perfection. It took me back to the original Rick Stein seafood programmes. He said fish should flake and be translucent. My cod hit that mark, it flaked and ‘transluced’ (see pic top right below), the salt and the spice sublime. The flame had the butter poached chicken, chorizo stuffed peppers, pok choi and sweet potato, drizzled in a chorizo jus. I’m not sure I’ve ever tasted better chicken. The small finger nail piece I was allowed to try was incredible. It could be that the flame won dish of the day with this! We both finished with Pumpkin pie, chocolate and nut granola with treacle ice cream. Yes, it was as good as it reads. The ice cream in particular was a treat. It was great with the crunchy flakes of granola. After the meal we left feeling very satisfied. The bill with a couple of large glasses of rather splendid Spanish red and some coffees came to £70. A touch over the top for a Monday tea perhaps but a thoroughly enjoyable couple of hours. If you’re a T-bone steak, chips and onion rings man, this isn’t for you. This is exquisite, elegant dining, the accent firmly on flavour and great service. We will be back, probably on a busier night when I’m sure the atmosphere with more covers in will really pep up the heat.